Attention parents of the world: GameStop is not a babysitting service. That fact was made abundantly clear to 21-year-old Kethia Dagrin-Francois of Florida when police arrested her for child neglect after her five-year-old son was found wandering the parking lot of Boyton Mall. According to authorities shoppers discovered the young boy wandering the parking lot of the Boyton Mall alone on Sunday afternoon. He was taken to the mall's guest services counter, who attempted to contact his mother via intercom for 20 minutes before contacting the local police. Once police arrived they walked the mall with the child, searching for his mother. Returning to guest services they came across the boy's aunt, who told police his mother had been searching for him for 15 minutes. It had been 50 minutes since he was found in the parking lot. 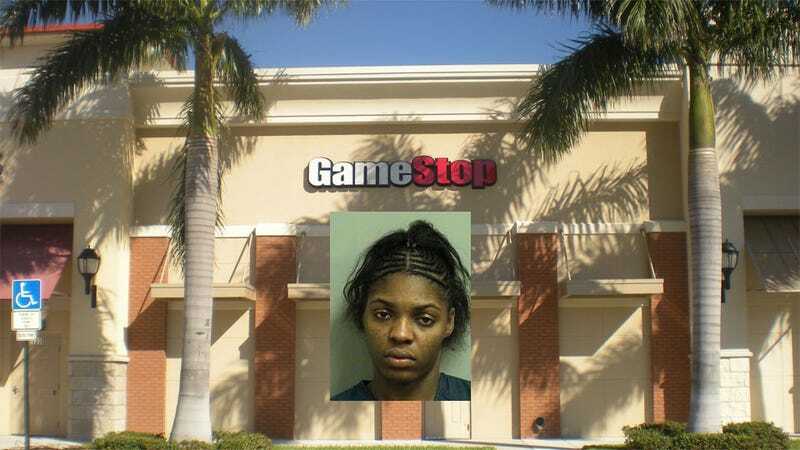 Reports say the mother arrived shortly after the aunt was found, telling police she taken the boy to GameStop to play a video game while she went shopping. She told the five-year-old to not leave the store until she returned. So Dagrin-Francois was arrested and charged with child neglect. She was released Monday on $3,000 bond. You hear that sound? That's the sound of thousands of GameStop employees cheering. During my time as an employee for the retail chain there wasn't a day that went by when some parent didn't let their child run rampant in the store, knocking over display games, rearranging shelves, and basically acting like a child does when their parent isn't around. Even worse, these parents are leaving their young children alone in a store full of strangers. Strangers that could do the child harm, sure, but also strangers that have no responsibility for their child's safety one way or the other, so when they go wandering out into a busy mall parking lot, no one is going to stop them. So no, GameStop is not day care. It's not a babysitting service. It's where gamers go to buy overpriced used games, and that's no place for an impressionable young child to wander about on his own.